New Games on your playlist for 2019? The Surge is a SOuls like game about a handicapped man in a wheelchair that goes to work for a huge science corporation that has the Cryo-suits for their emplyees that give them the ability to work faster, stronger, ect… fork lift type arms, cutting tools, hammer tools and such weapons that are tools for working in this huge corporation that builds rockets and all sorts of stuff. He gets there , gets his suit and he can now walk again! Great! But something isnt right…the employees have chips implanted that give them health, energy and other enhancements but they are losing their minds and getting aggressive. You go around trying to find out what the hell is going on…too find out what did the rockets bring back from space? Its really great…I think you would enjoy it story wise. Problem is that as much as I am looking forward to MK11, I will end up buying it but not playing a whole lot of it. MK 9 and 10 were one of my favorite titles despite having played less than 100 hours combined. It’s just me supporting a good title and returning the love ($). Samurai Showdown might end up getting the same treatment I am afraid. So I’ve been playing Crackdown 3 a bit, as has my son. We played it together last night in Coop and it was, as expected, goofy fun. The coop performance is pretty terrible. We were only dropped once but lots of weirdness occurs - admittedly it’s still very playable. I got the game with GamePass, and it’s… okay. But I would feel pretty miffed if I paid $60 for it. It’s really tough to see what the delays were for. The game is not “polished” - there’s lots of bugs and wonky interactions. Including unforgiveable little things like it tells you the airdash button is left bumper but it’s actually the left thumbstick button. How does that get through QC? There’s no hint of “cloud processing” and the game looks nowhere near as good as the very first demo they showed. Which doesn’t bother me, but what took them so long? It doesn’t fill me woth confidence about MS and their ability to effectively manage game development processes. Maybe this is why they added all those indie dev teams last E3? TO avoid these MS games like Crackdown 3? They need to do something because the only reason I have a PS is for particular games…I prefer to have all systems at my disposal but most people pick one and are done. ANd they usually pick PS4. Xbox needs to get some big exclusive games on its lists to compete. Crackdown 3 isnt one of them. I hope so. I hope they let those studios donwhat they’re good at instead of assimilating them into whatever corporate culture is responsible for churning out mostly unremarkable and occasionally garbage games. I have to admit, I love Terry Crews. He’s funny im the game but woefully underutilized. But besides him, the most remarkable thing about Crackdown is how unremarkable it is. It has some personality, but it’s kind of “just enough.” Your colonel says occasional one liners like “I like this gun!” And “good moves agent.” But I don’t come out if it feeling like “wow that was over the top!” Sunset Overdrive did it better. Besides Roxy the AI train station boss, the different boss characters are pretty generic. The one boss fight I’ve finished was pretty standard fare. Not bad, not great. Otherwise it’s no different than a dozen other open world shooter or superhero games. Even though I have Game Pass…I passed on Downloading Crack Down 3. I usually DL the new games so I seem to get my moneys worth so to speak. It just doesn’t excite me enough to install it. Ive came close a couple times but ultimately passed. I did watch a graphics comparison on it earlier on youtube and it looked pretty dammn good graphically! Been playing Kindom Hearts 3. Almost to the end. It’s been okay, I guess? It’s gorgeous and the combat is fun but otherwise it largely feels very half-baked compared to the other main games (Pirates and BH6 worlds were great, though). I wonder why they cut out all the Final Fantasy characters. Can you play KH3 if you don’t have any prior experience with the series? My son is kind of interested, but he hasn’t played the earlier games. He’ll be completely lost on the story to the point of confusion and frustration. Which is sad because the gameplay is actually the most beginner friendly in the series. It’s ironic really. I haven’t heard anything about the new Battletoads. Something tells me it’s either been delayed or it’s going to be a sort of lower budget “surprise, it’s out now” kind of deal when Xbox does their E3 conference. Something along the lines of Streets of Rage 4 where it looks new and pretty, but mostly plays like the old games. Just a guess though. 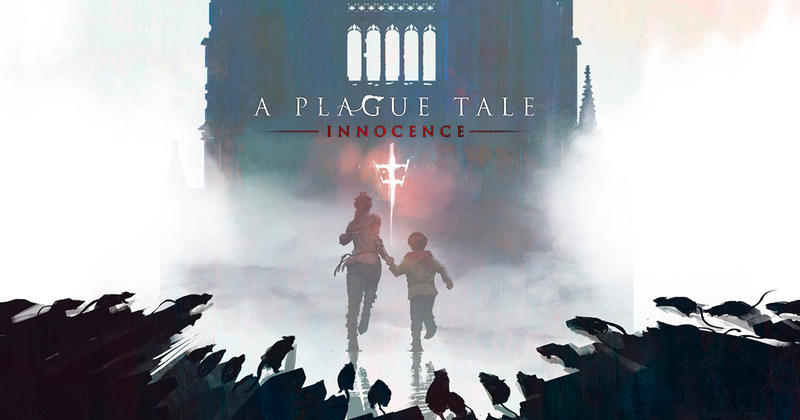 Has anyone heard of A Plague Tale: Innocence? IGN did a preview on it recently. Apparently it was announced at last year’s E3 (totally don’t remember that) and it’s coming to XB1, PC and PS4 on May 14th. From what I can gather, it’s somewhat of a stealth game, and you play as a young woman and you have her little brother with you. The story sounds pretty good and the graphics look great. Man, 5,000 rats on the screen at the same time?? Yikes. No idea how it’ll turn out, and some of the video of them just running around make the game seem kinda bland, but the IGN preview made it seem pretty interesting, even if it had a few nitpicks. Either way, it’s definitely on my radar now. streets of rage 4 is definitely one i am looking forward to playing. A great indie title that I’d love to see a sequel to or remaster of is Mark of the Ninja. That game was sick! 22 more days till…dun dun duuuunnnnnn…SEKIRO!!! thats been my feelings as well for MS, they really havent brought anything to the table in recent memory. i sold off my xbox 1 last year because it never saw anymore usage at all beyond being a blu-ray player. i also saw no reason to keep it because killer instinct was then ported over to the PC and my arcade stick works with 3.0 USB slot. i was waiting for that one killer app to keep the console, it just never showed up. i think MS’ console just falls into the hole of everything being multiplatform with no really good exclusives that grab my attention. The optimist in me hopes you’re right. But CD PR has a solid track record of slow development leading to fantastic games. MS… not so much. I have a feeling all the studios they have gobbled up are working on “next gen” projects, which I think makes some business senses. But I don’t have faith in anyone’s (MS or Sony) next gen console at this point. Xbox One is essentially a third party game box for me at this point, and it looks like that’s how it will be until it gets mothballed.